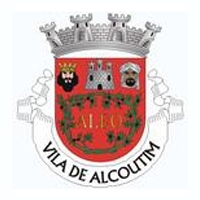 Alcoutim is the most norteastern village (vila) and municipality (concelho) within the district of Faro (Algarve), the southernmost region of Portugal on the European continent. The village of Alcoutim is located on the Rio Guadiana, the border between the Algarve and neighboring Spain. It is the most north-eastern municipality of the Algarve and borders the Alentejo. The national road IC27 from Vila Real de Santo António to Mértola passes nearby. From there the access road N122-1 goes to the centre of Alcoutim. If you want to see more of the surrounding country side, you may leave the IC27 at Odeleite and follow the Odeleite river to Foz de Odeleite, where it flows into the Guadiana river. From there take the M507 to the north along the Guadiana until you reach Alcoutim. You can access Alcoutim also by boat from Vila Real de Santo António if you have time and want to enjoy a peaceful cruise on the river. Opposite Alcoutim the village of Sanlúcar de Guadiana is located on the Spanish riverbank. A ferry boat is the only connection between the two villages. Alcoutim has one of the only six youth hostels in the Algarve. Overlooking the river Guadiana, it is an ideal starting point for hikes in the peaceful country side and boat tours on the river. The castle overlooking the river was built in the 14th Century to defend the border against the kingdom of Castile. To enable it for artillery use it had to be modified in the 17th Century. The beach Praia do Pego Fundo, located on a tributary of the Guadiana, is the only fluvial beach in the Algarve to be awarded a Blue Flag for its quality. The open air museum Parque Mineiro Cova dos Mouros situated inland near Vaqueiros, about 20 km from Alcoutim, is worth a visit. It depicts the development of the mining of copper and iron ore in the region. The small museum Museu do Rio, located in the hamlet Guerreiros do Rio on the Guadiana river south of Alcoutim demonstrates the historic and economic importance of the Rio Guadiana. The water reservoirs Barragem de Odeleite and Barragem de Beliche are situated in the municipality of Castro Marim. They play an important role in securing the water supply of the eastern Algarve. Further to the north in the Alentejo, Mértola, located in the natural park Parque Natural do Vale do Guadiana and Beja are places of interest. The roots of the Alcoutim area go back to the megalithic culture around 4000 BC. From about 2500 BC to the time of the Roman empire the deposits of copper and iron attracted people to the area in order to establish mines. The ore was smelted locally and then shipped down the River Guadiana. Alcoutim is located at the confluence of the river where it becomes tidal, so people wanting to ship their goods had to wait here, until conditions allowed them to sail down the river. Thus structures to support and defend this business where needed. Due to its strategic position on the boundaries of the Guadiana River and the neighbouring kingdom of Castile, King Dinis gave it a Charter and granted it the Military Order of Santiago. The castle overlooking the river was built in the 14th Century to defend the border against the kingdom of Castile. To enable it for artillery use it had to be modified in the 17th Century. The diminishing role of the river as a transport route, the distance of Alcoutim from the sea and the decline of the mining industry led to a long period of economic stagnation. Today visitors coming to Alcoutim can enjoy peaceful hours walking through the streets of this charming town or along the river. The municipality consists of the parishes Alcoutim e Pereiro, Giões, Martim Longo and Vaqueiros. In 2011 almost 3 thousand people lived here, significantly less than in the decade before.